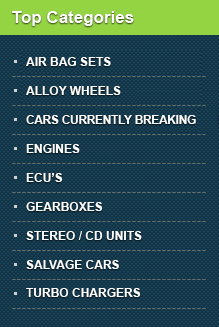 DK salvage.co.uk � Quality used car parts online: engines, gearboxes, turbos, ecu's, airbags, alloy wheels. DK Salvage is an established business of over 25 years based in Peterborough, Cambridgeshire. 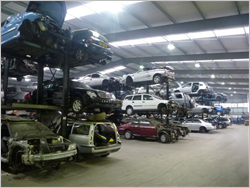 We specialise in quality used vehicle parts from all manufacturers and models. With over 20,000 products online, DK Salvage will accommodate your every need when you need to get your car back on the road. If we do not show the part you need in stock give us a call or email us as we have new stock arriving everyday. 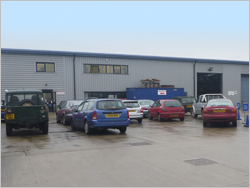 We have two sites located in Fengate, Peterborough. Both are registered ELV Authorised Treatment Facilities. � Friendly assistance from real people. � 30 Day returns policy on every part. � Fully secure online shopping. � Fast and easy to navigate site using our powerful search tools. � Regular Special Offers and Salvage Car of the week.